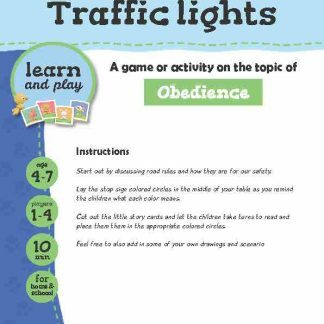 Children will more easily follow through on something if they help to make the decisions. 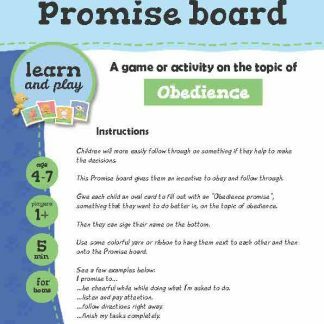 This Promise board gives them an incentive to obey and follow through. Give each child an oval card to fill out with an “Obedience promise”, something that they want to do better in, on the topic of obedience. Then they can sign their name on the bottom. Use some colorful yarn or ribbon to hang them next to each other and then onto the Promise board. …be cheerful while while doing what I’m asked to do.